After breakfast, we will visit the most famous monuments in Egypt: the Giza pyramids. 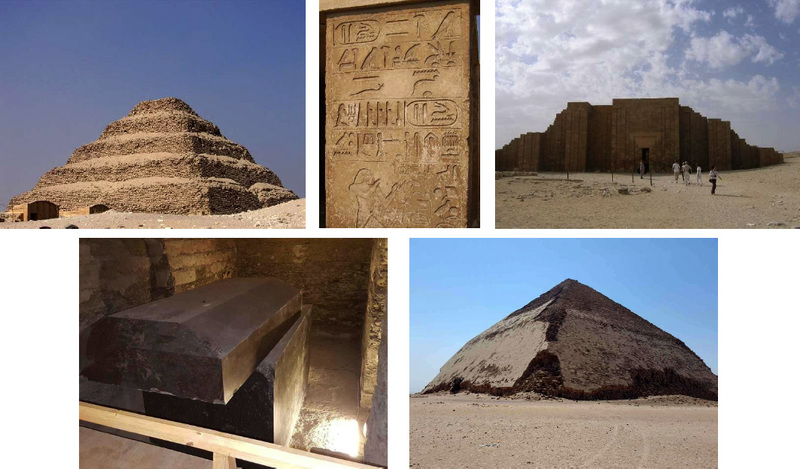 We will explore the area around the Great Pyramid and then drive to the Second Pyramid, where we will visit the Mortuary Temple and Valley Temple. 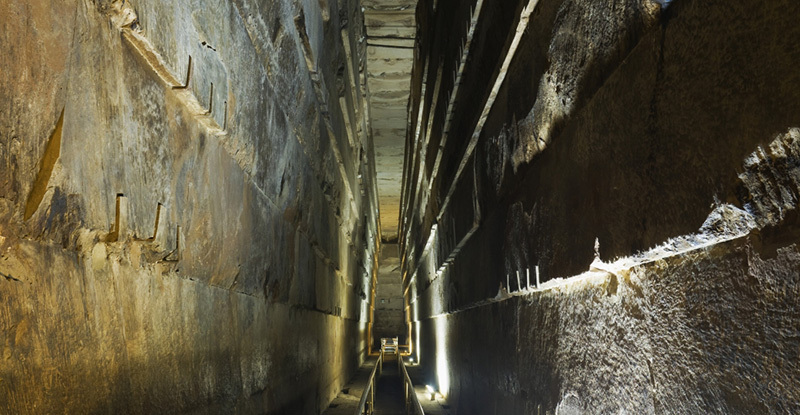 From inside the Valley Temple, we will take a short-cut to the Sphinx. After Lunch, we will have the chance to visit one of the essential oil centers in the area. Early in the morning, we fly to Sohag, then we drive to Abydos. 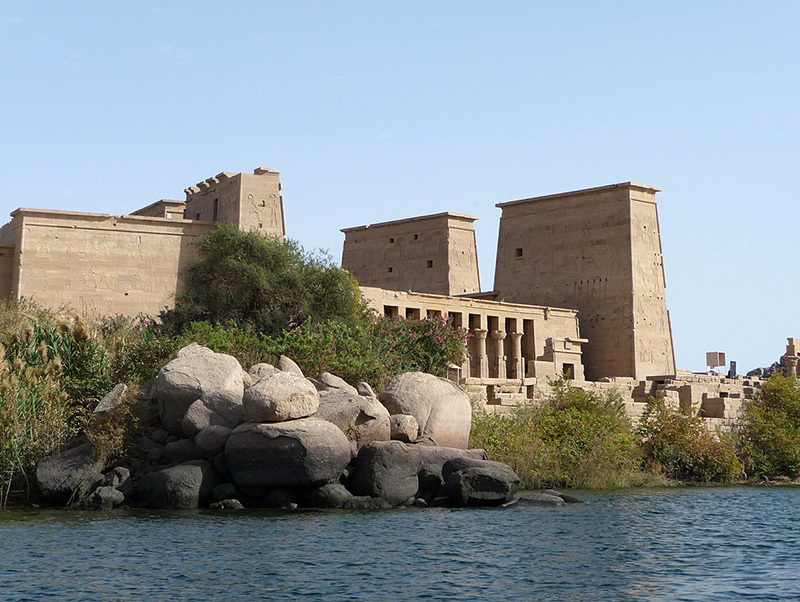 On our arrival, we will visit the Seti I Temple, the only temple that has nine Holy of Holies. The carvings and reliefs in this temple are in incredibly well-preserved. Behind this Temple lies the megalithic underground structure known as The Osirion which has several depictions of the Flower of Life on the huge pillars. $1000 deposit with registration will be required to confirm the booking & Full payment to be made by July 31st. We ask you to send a photocopy of your bank receipt for the transfer. 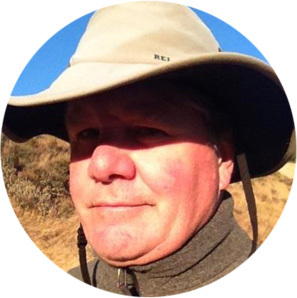 Cliff Dunning is the host and producer of the popular podcast, Earth Ancients: Startling New Discoveries from Our Planets Distant Past. A writer, his articles appear in publications around the world. Egyptologist, Hieroglyphics Expert, Tour Guide and Director, Mohamed Ibrahim is inspired by a passionate desire to share his wisdom. 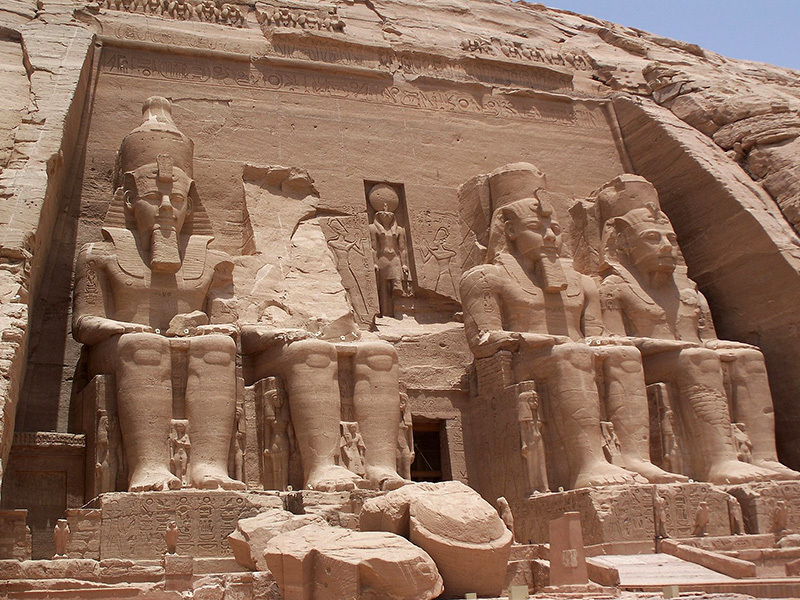 He offers a wide spectrum of knowledge regarding the history, arts, literature, and culture of the ancient Egyptians. Mohamed was born in Memphis, Egypt and studied Ancient Egyptian, Coptic and Islamic Art and History at Helwan University in Cairo. 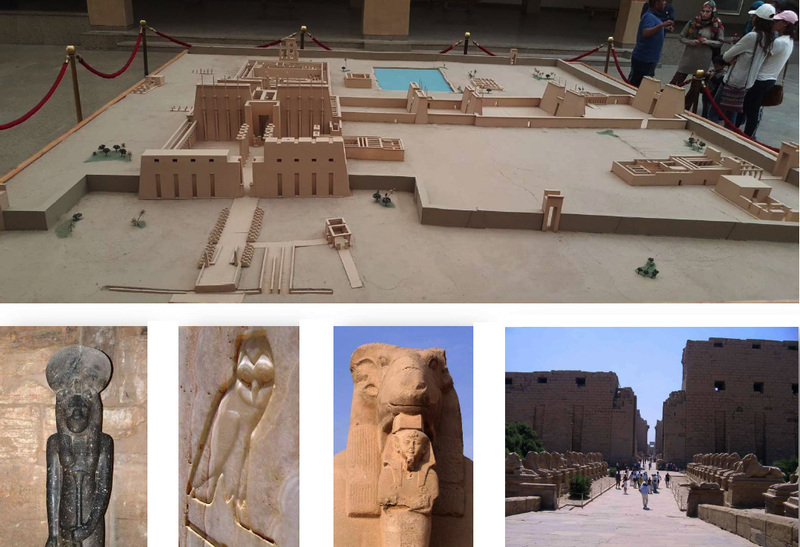 He has been working as a tour guide and a teacher of Hieroglyphics since 2000. 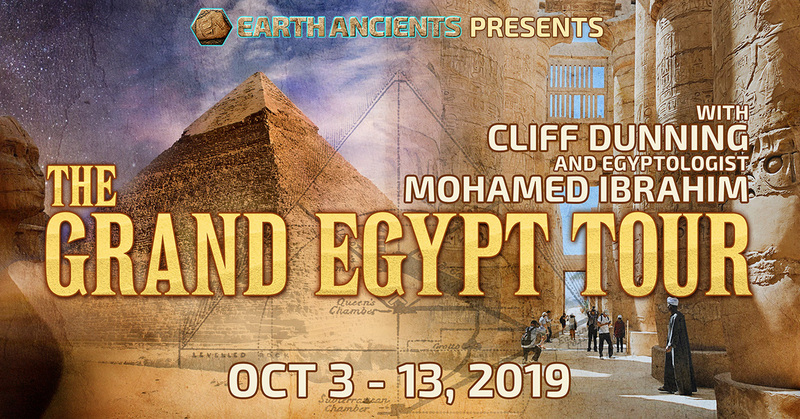 Mohamed’s comprehensive knowledge of Ancient Egypt, along with his background in comparative religions and spiritual studies, has enabled him to fill lecture halls and conduct a variety of successful tours over the years. When he is not on tour, Mohamed frequently lectures on Egyptian mythology ‐ its spiritual aspects in Egyptian art, and the Ancient Egyptian concept of Gods and Goddesses. A non-refundable Deposit of $1000.00 per Person will be required at the time of booking. To secure your Reservation, final payment will be due 60 days prior to Tour start. Bookings made within 60 and 31 days preceding Tour start will require final payment 30 days prior to the start of the Tour. Bookings made within 30 days of Tour start, will require full and final payment immediately upon booking. It is the responsibility of the traveler (or agent) to determine that final payment reaches us on time. No booking will be considered until the final deposit is received by the Tour Operator. Payments are to be made via Bank Transfer. Any fees charged, will be the responsibility of the sender. Please inquire about this before you make your bank transaction. Due to high preparation costs, Cancellations must be received in writing within 60 days of travel date. Cancellations received more than 30 days prior to departure will have a penalty of $500 per Person; those received between 30 and 25 days will have a penalty of 50% of the full cost per Person; those received between 25 and 20 days will have a penalty of 75% per Person. Cancellations received 20 days or less before departure will receive no refund. No refund will be made for transfers, city tours or any other services (including meals, accommodations or transportation) voluntarily not taken. This Itinerary is subject to changes in order to adapt to possible alterations in domestic flight times or other unforeseen circumstances. The content will remain the same, barring any unanticipated complications, and will include many delightful “extras” and surprises. We recommend that all participants obtain Travel Insurance. Travel Insured International offers insurance for trip cost, trip cancellation & interruption, and pays for loss due to unforeseen circumstance, death, injury, or illness to you or a member of your family. It also includes coverage for missed connections due to weather, pays for lost deposits due to the financial default of the airline, the tour operator, or cruise line. It pays for baggage delays, travel delays, medical expenses, and emergency assistance. By signing up to the Tour you agree to our Terms, Deposit Conditions and Waiver. 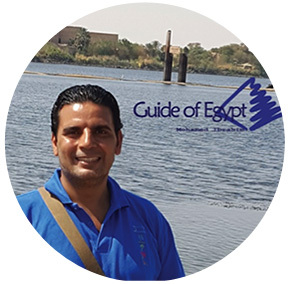 Guide of Egypt & its agents and our Tour Facilitators have worked diligently to make all of the arrangements for our journey together in Egypt. 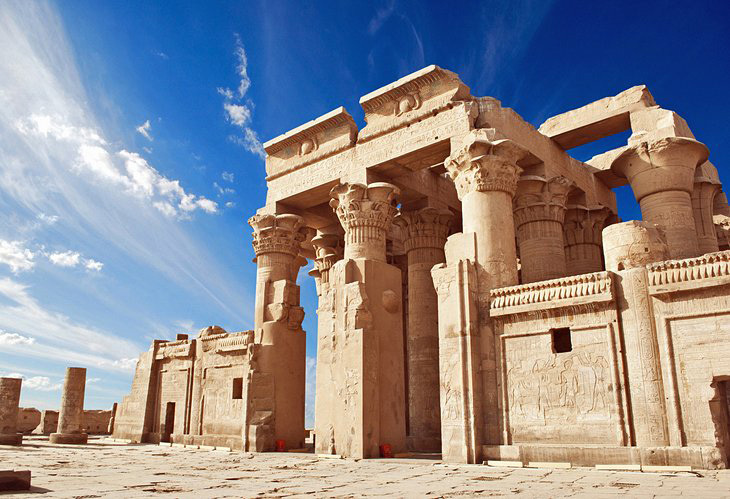 However, Guide of Egypt & its agents and our Tour Facilitators will not be held liable for delays, theft, damage, injury, or any other irregularities that may occur during the course of the journey. We will not be held liable for any changes or delays in airline schedules or missed connections; injury, loss, or damage to persons or property; additional expenses resulting from changes in exchange rates, tariffs, or itinerary; any transportation issues or problems with vehicles utilized on the tour; additional expenses incurred due to illness, weather conditions, protests, war, terrorism, quarantine, or other causes; and losses due to cancellations not subject to our Terms and Conditions.